Want to refine your Facebook ad targeting? Looking for tools to better identify your most valuable Facebook customers? In this article, you’ll find three tools that give you a more complete picture of whom your ad audience is, what they’re doing on your site, and how much they’re worth. 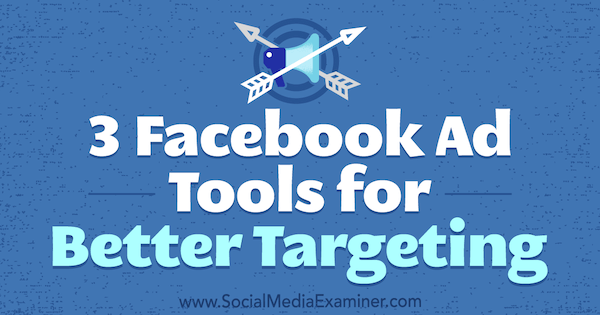 3 Facebook Ad Tools for Better Targeting by Bill Widmer on Social Media Examiner. Leadfeeder links up with your website data to show you two key things that Facebook Analytics don’t. First, after people click through from your Facebook ads, Leadfeeder can show you the companies where those people work. Also, Leadfeeder displays a bar to the left of each lead to indicate how qualified your ad audience actually is. You can see all of this information at a glance on the left side of the interface. Leadfeeder helps you see how qualified your ad audience really is. Next, connect Leadfeeder to your site’s Google Analytics account. Also, fill out your info and connect it with your customer relationship management (CRM) tool if you use one. Last but not least, set your targeting preferences. When you’re done, you’ll see a screen like the one below. From here, the quick tour is a helpful way to learn how to get started. Leadfeeder offers a free trial and you’ll see this screen after you sign up. When you’re using Facebook ads to gather referrals, the Leadfeeder quality rating helps you determine the quality of your ad audience. The bar that shows the quality of each lead is based on the number of page views, visits, and bounces. 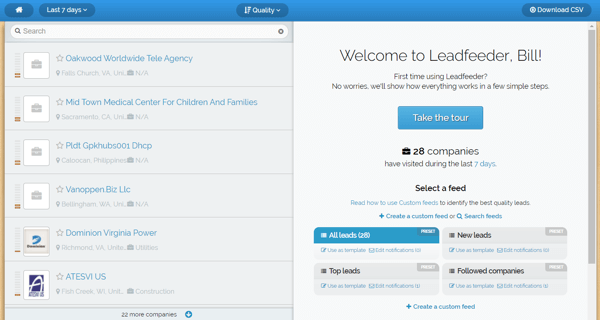 Leadfeeder’s quality ranking is based on page views, visits, and bounces. Leadfeeder allows you to filter the leads based on certain criteria such as only those leads who meet a minimum quality level and have visited your Facebook ad landing page. To create a filter, you set up a custom feed and then apply one or more filters to that feed. The process is pretty simple. To begin, in the right pane under existing feeds, click Create a Custom Feed. 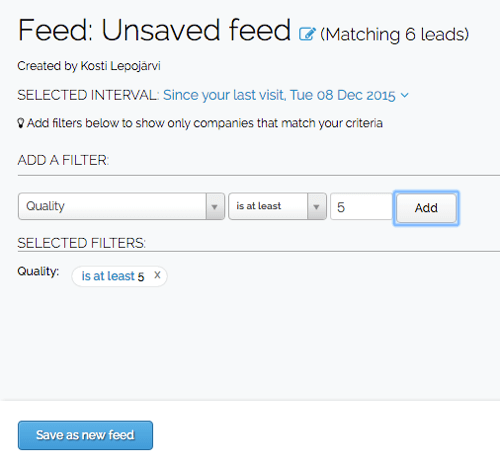 To begin creating a filter in Leadfeeder, create a custom feed. Next, click Create New Feed to see a list of filter options. Select the Quality option to filter your feed based on lead quality. 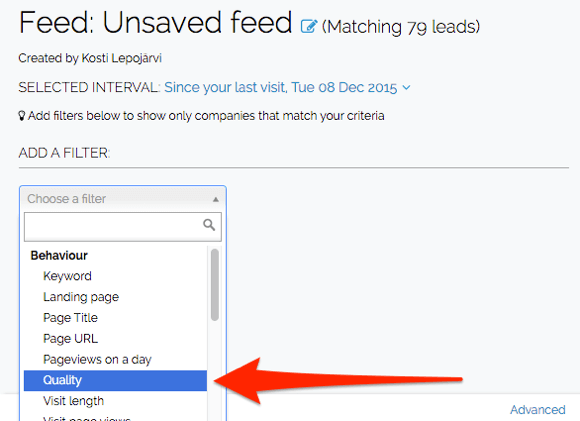 Leadfeeder enables you to filter leads by Quality. Leadfeeder rates the quality of leads on a scale from 0 to 10. Use the filter options to control what leads you see in the custom feed. To demonstrate, the filter below is set to show leads that are at least a 5. When you’re done, click Add to apply the filter to your custom feed. After you click Add, you’re able to save your new custom feed by clicking Save As New Feed. After you create a filter in Leadfeeder, you can save the filter to your custom feed. You should also add a filter for Source so you can view only people coming from Facebook. Even better, add a custom UTM parameter for Facebook ads as a source in your campaigns’ target URLs, so your custom feed in Leadfeeder will show only the people who clicked on specific campaign links. By reconciling the types of prospects who click through from your Facebook ads (as revealed by Leadfeeder) with the targeting parameters you set for your campaign, you can see which parameters are effective and which aren’t. This information is invaluable as you experiment and refine your campaign settings over time. After you have a list of high-quality leads from Leadfeeder, try creating lookalike audiences based on those leads. To do this, export the list of high-quality leads from your custom feed as a CSV file. Then plug those domains into a tool like Norbert to acquire their emails. 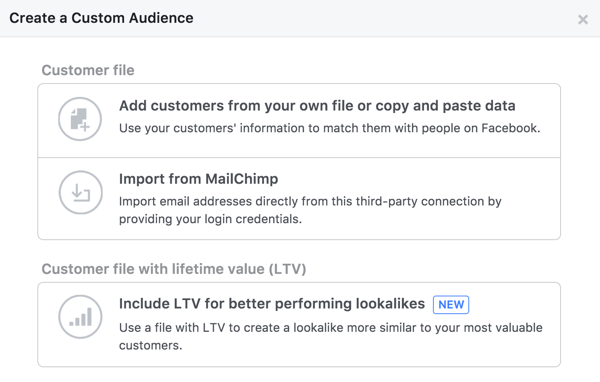 Finally, use that list of emails to create a Facebook custom audience and run a lookalike audience campaign based on that list. Easy-peasy! Create a Facebook custom audience from your email list. How much of your content is actually being consumed after someone clicks one of your Facebook ads? Scroll-depth measurement can help you answer this question. For example, if you send your ad clicks to blog content, you can see how much people are reading before they get bored and click away. If you notice they stop reading at a certain section, break long content into bullets or otherwise make a change. A/B test the placement depth of different features on your landing pages to see how they affect conversions or consumption rate. Determine how far down you should place your call to action (CTA) before conversions start falling off. Compare how different audiences engage with your content to help you target the best market. And that’s just a few ways you can use this data. There are many more! To measure scroll depth, you can use Crazy Egg’s scroll-depth measurement tool. Crazy Egg offers a free 30-day trial and plans start at $9 per month. Alternatively, build scroll-depth tracking into your Google Analytics if you have some coding experience. Crazy Egg offers a scroll-depth tool that shows how far people who click your ads scroll down your landing page. For instance, say you run Facebook ads to multiple audiences to test the best long-term customer base. After running these ads for six months, you analyze the projections for CLV from each ad group. Customer lifetime value is an important metric to measure as you determine which customers generate return on your ad costs. At first glance, Ad Group 2 seems to perform best because users spend the most money on their orders. However, Ad Group 3 is actually a much higher value, despite lower average order sizes. This means you can spend more to acquire customers from Ad Group 3, even if you don’t make as much money on the initial purchase. Unfortunately, Facebook Analytics tracks only micro-conversions, not CLV. CRM software such as Salesforce or HubSpot can fill this gap. If you don’t have the money for HubSpot, track CLV with the $25 Salesforce plan. To figure out CLV with Salesforce, first use Zapier to integrate your Facebook lead ads with Salesforce. (Zapier offers a free version for personal use, as well as paid plans.) With this integration, Salesforce automatically updates with any lead information captured on Facebook. After you run this setup for three to six months, your Salesforce account will capture enough data to calculate CLV. To get your CLV, create a new dashboard in Salesforce. In the dashboard, add the Sales Person MTD Sales component, which will show your sales per month per lead. Although you can’t see CLV in Facebook Analytics, a CRM tool like Salesforce helps you capture this important metric. When you know the month-to-date sales of a lead, look through past months and add up the total to see that customer’s total value. The highest-value customers/leads are the ones you should prioritize with your ad spend. Now that you know about these three tools and how each works to help you, let’s look at how you can use all three of them together. When you run a Facebook ad, send that traffic through a lead quality filter with Leadfeeder. From there, compare the high-quality traffic from Leadfeeder with your scroll-depth measurement tool to see if that “high-quality” traffic is truly consuming your content. Furthermore, compare these results with the CLV of those customers with your CRM, giving you a complete picture of who your ad audience is, what they’re doing on your site, and how much they’re worth. To go a step further, create a lookalike audience of only the highest-quality, highest-value audience to further grow your business’s income. Then use retargeting on that audience to maximize their lifetime value. Although Facebook Analytics is indeed powerful, it does have a few major holes that limit its data. With the tools outlined in this article, you can fill in those holes and make informed decisions about whom to target with your ads and how to improve your landing pages for maximum conversions. Additionally, this new data will help you tweak your ads to target better prospects and bring you more of your best customers. What do you think? Will you use these third-party tools to improve your Facebook ads? How has the new Facebook Analytics data improved your social media growth? Please share your thoughts in the comments. Bill is an eCommerce content marketing and SEO consultant​​. 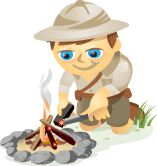 When he's not obsessing over how to improve his client's rankings, you can find him hiking in the mountains​ ​or playing his ukulele.